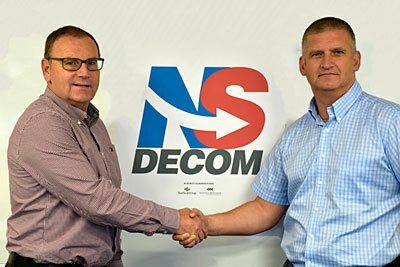 NorSea Group (UK) Ltd and Scotoil Services Ltd, two service companies in the onshore decommissioning sector, have joined forces as NSDecom. The new collaborative venture will bring more efficient and cost effective benefits to the sector by providing a single project focal point for all services related to quayside and onshore decommissioning activity. Targeted at operators, project managers and lead contractors the new partnership combines the logistics expertise of NorSea Group with Scotoil’s track record of experience in waste management and NORM decontamination. NSDecom will deliver a complete onshore service from receipt of waste and equipment at the quayside through the cleaning and cutting process to the final reuse/recycle/disposal option. The main centre of operations will be at NorSea Group’s purpose-built, deep-water decommissioning facility at Smith Quay in Peterhead. Relevant licences are also in place at Aberdeen Harbour and NorSea’s supply base in Montrose.